The world we live in today is consumed by mass quantities of news on a 24 by 7 cycle, rendering us immune to most world events. We are not immune because these events happen so far away from us. Rather it is because of the distance that television and the commentators constantly telling us what’s going on that separates and polarizes us. The constant barrage of negative news also desensitizes us to these same world events. 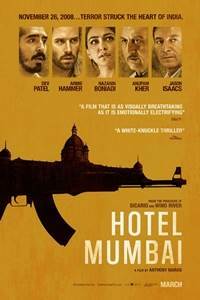 As the film opens, and in between the quick edits establishing the terrorists as they disperse throughout Mumbai, the screenplay firmly puts us in the feet of Arjun (Dev Patel, “Lion”), a kitchen server in the Taj Mahal Palace Hotel. He is a committed family man. As he rushes off to work, the terrorists continue to ascend on their targets throwing the city into chaos. As Arjun arrives at work, we meet David (Armie Hammer) and Zahra (Nazanin Boniadi), an architect and his actress wife, along with Vasilli (Jason Isaacs), all extreme VIPs at the hotel. Amidst the chaos of the lobby, the manager is busily prepping the staff, giving detailed instructions about how hot the water in the tub must be and to not discuss the nuptial of the couple. As an hotelier, I was impressed with the level of intricate and accurate detail about how senior levels of hotel staff go about prepping for VIP arrivals. There was a quick pace about the preparations, but it was never rushed. Maras expertly balances the attacks throughout the city and the events that bring the terrorists to the Taj Mahal with the familial scenes, a calmness before the storm if you will that when the attack hits, you are as trapped as the victims were. British cinematographer Nick Remy Matthews, who has worked with Maras previously on the short film, “The Palace” and “Spike Up,” deftly handles the action scenes, but also maintains the strength of the drama. The tension ratchets up when we’re locked in the hotel with nowhere to go. In a way, “Hotel Mumbai” reminded me of “The Poseidon Adeventure” in that that grand disaster classic look and feel. The reason why the film works on so many levels is because we are desensitized to the nature of terrorism. Maras and Collee build on that, layering in religion, class, politics, and a humility that I haven’t seen in a disaster genre film previously. On the ground, the police are ill equipped to mount a rescue, and yet, through courage and determination, they make an attempt. In the hotel, desperate terrorists, who are promised riches for their efforts are guided by a faceless voice, commanding them through one execution on to the next. Some of the hostages are ensconced in a safe room in the hotel, the fear in their eyes is palpable. There are heroes, in Arjun and the other staff of the hotel. Service is first and foremost in the host country and the film really zooms in on that aspect. There were shocking moments as well, that really sear into the back of your mind that, in spite of the fact that we’re seeing something unfold on a screen in front of us, which ironically is not much different than watching the news, we’re making our own determination about the events that unfold in front of us. Perhaps this is because there was no sense of escape, for either the terrorists or their hostages. It isn’t until the final few minutes of the film, when that sense of danger comes to its logical conclusion, that we release our breath. Our heart rates return to their normal levels, but we remember the danger as the real life footage from the documentary and the news clips run during the end credit roll. You might turn a blind eye to “Hotel Mumbai,” and that would be certainly understandable. 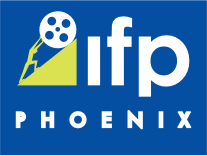 It’s not something that we would immediately jump up after seeing the trailer and say, “I’m going to see that film right away.” It is something that will take time to process. “Hotel Mumbai” is as much about its human characters as it is a moment in human history that shows us what compassion and pure hatred look like in the same two-hour time span. Unlike “The Poseidon Adventure,” you probably won’t want to see “Hotel Mumbai” again. But it is an experience well worth taking.